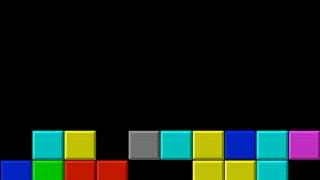 The hardest lesson taught by Tetris is that success isn't infinitely sustainable. Those blocks are going to get unmanageable at some point. We pressed the Select button at the right time and our weapons hit the boss and we became stronger and we beat the boss and the one that came after and eventually, way past our bedtime, we beat the final bosses that came after him, we beat all of them. We pressed the Select button over and over again and we earned thousands and thousands of points, we beat them, we won. "By 2003, [he] was managing $250 million of client money, making $5 million a year. He and his wife, with two children in tow, found a six-bedroom home in the nearby upscale community of Saratoga. It had sat on the market for more than two years, as the dot-com collapse weighed on local housing. The owners had asked $5.4 million for the home. [He] offered $3.8 million, and his bid was accepted. [He] had a growing sense that other parts of the country might have their own housing problems...."
Wolfe creates clever parallels between the quirks and exploits in games like Mega Man, System Shock 2 and Quake and how the financial markets got to where they are. It also fits in with the Occupy Wall Street protests, where the thinking is that the system's not built for fairness. "The Tetris Effect" is a long, meaty read. But go there anyway. You'll wind up understanding things you might've already known—about life, money and/or games—in a completely different way.